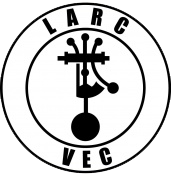 The Laurel Amateur Radio Club (LARC) Volunteer Examiner Coordinator (VEC) also known as the LARC VEC or Laurel VEC, is one of 14 VECs that have entered into an agreement with the Federal Communications Commission (FCC) to serve as a VEC. The Laurel VEC was established in 1984. The Laurel VEC is managed by a Chairman who is appointed by the Laurel Amateur Radio Club. The Chairman serves as the point of contact with the FCC and is responsible for all aspects of the Laurel VEC. The Chairman is assisted by Regional Coordinators who recruit and manage teams of VEs within an assigned VEC Region. Teams of Volunteer Examiners are accredited by the Laurel VEC and perform all activities related to amateur radio license exams at the direction of and under the supervision of the Team Leader. All Regional Coordinators and Team Leaders are VEs who are accredited by the Laurel VEC. The Laurel VEC is a member of the National Conference of Volunteer Examiner Coordinators (NCVEC) but operates as an independent VEC. Maintain the value and integrity of the Volunteer Examiner program. Volunteer Examiners provide an invaluable service to the amateur radio community. Since its inception in 1984, the Laurel VEC takes great pride in the fact that it has never charged a fee for its services. Radio amateurs who are interested in becoming a VE with the Laurel VEC must contact the Team Leader of the team with whom they would like to work. Existing VE Teams who would like to join the Laurel VEC should contact the appropriate Regional Coordinator.